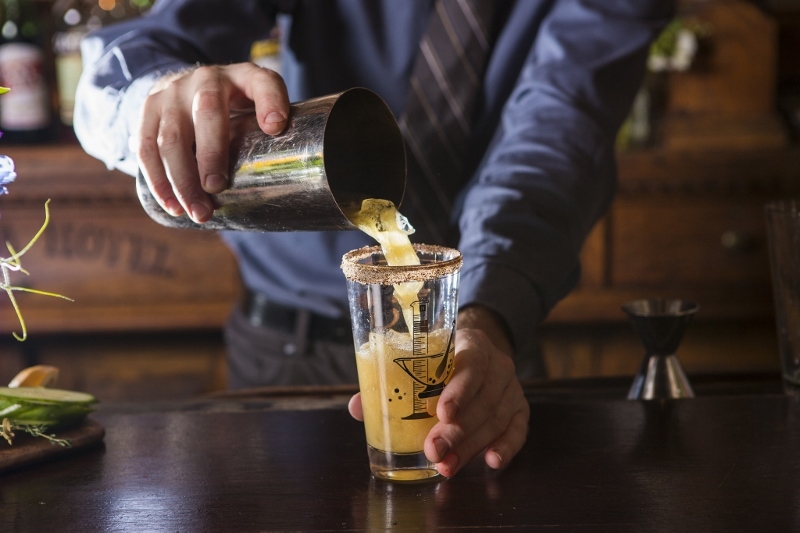 March 30, 2013 (COLUMBIA, S.C.) – Underscoring his revered farm-to shaker processes, head barman of Motor Supply Company Bistro, Joshua Streetman debuts the in-house Masters 2013 cocktail list. With an ongoing regimen of drink infusions like a tequila infused with the first strawberries of the season from Cottle Farms, as well as bacon-infused vodka and more, this new list will lead diners into the spring season. The Maya End of the World Cocktail (house-infused hibiscus tequila, rum, blood orange juice, Aztec chocolate bitters and a yuzu sugar rim), created in partnership with the South Carolina State Museum exhibition, Secrets of the Maya, will also be available until June. Motor Supply Co. Bistro has been serving New World, made-from-scratch cuisine in the Vista since 1989. Reservations can be made by calling 803-256-6687 or by visiting http://www.motorsupplycobistro.com.